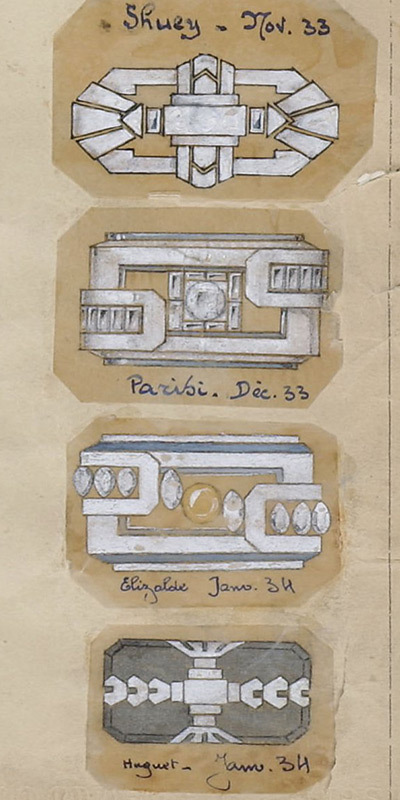 or the pure lines of Art Deco. 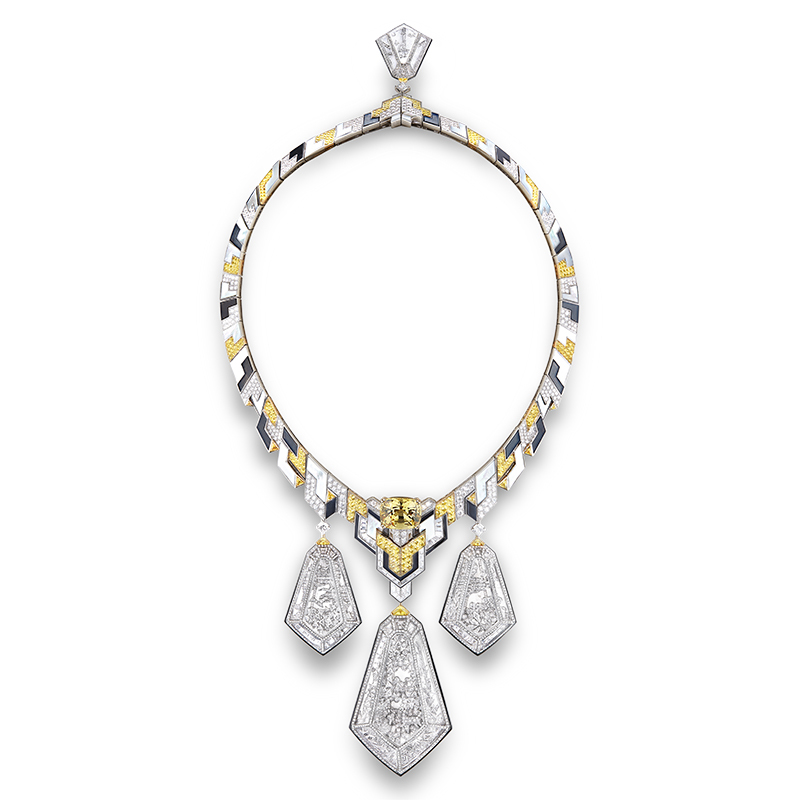 Hôtel Particulier necklace, set with a 21,80 cts yellow sapphire, rock crystal, mother-of-pearl and moon stones, paved with yellow sapphires and diamond, with black lacquer, on white gold. 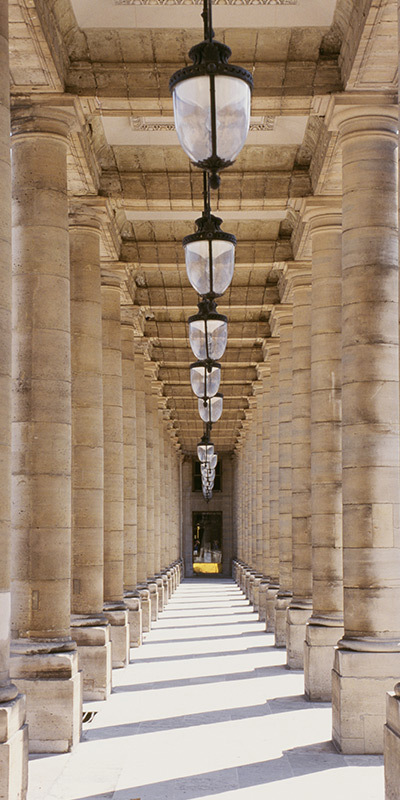 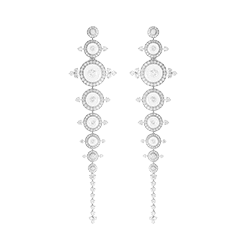 The Maison’s first address, 152 Galerie de Valois, is central to the family history as the place where Frédéric and Gabrielle Boucheron started their business in 1858. 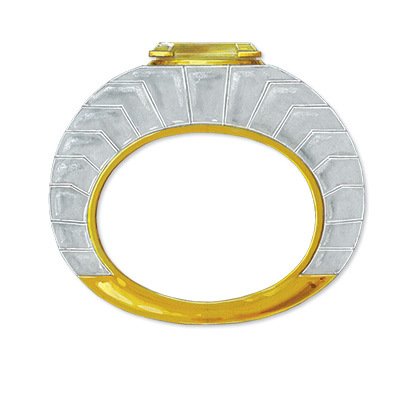 This incredible necklace evokes both the atmosphere that reigned there and the view afforded by its various windows. 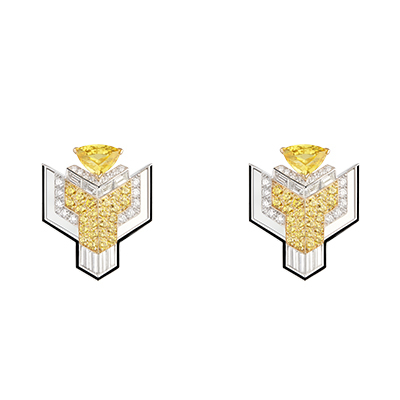 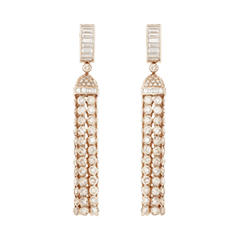 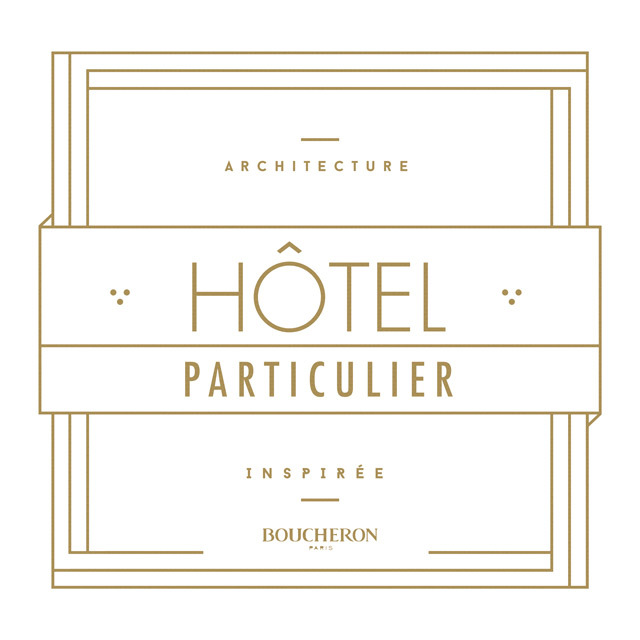 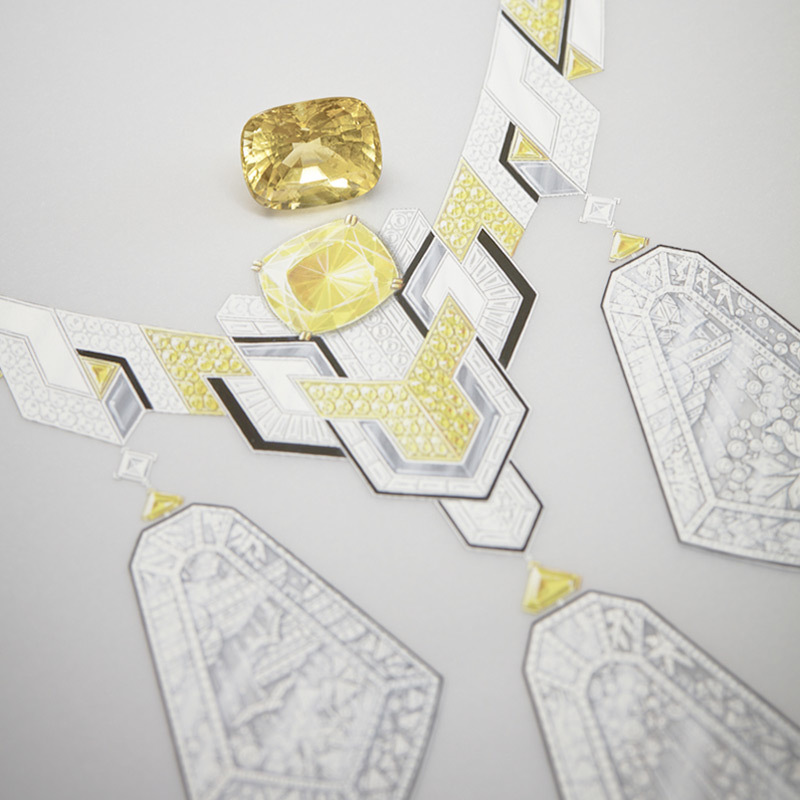 Hôtel Particulier earrings, set with diamonds and yellow sapphires, paved with diamonds and yellow sapphires, with black lacquer, on white and yellow gold. 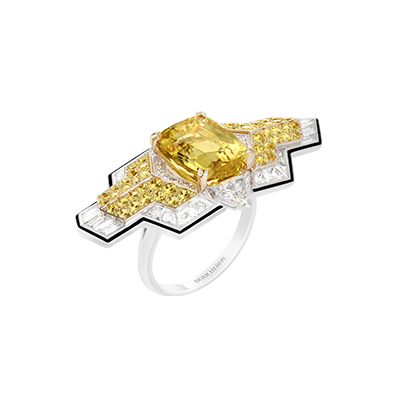 Hôtel Particulier ring set with a 7,75 cts yellow sapphire, paved with diamonds and yellow sapphires, with black lacquer, on white and yellow gold. 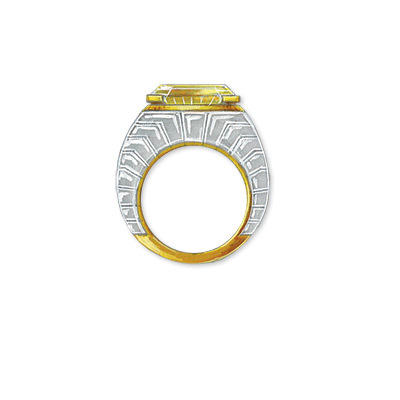 Vendôme Chromatique ring, set with a 28,83 cts yellow sapphire and rock crystal, on yellow gold. 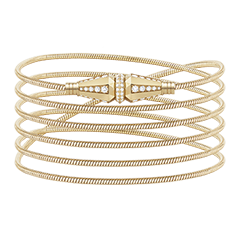 Vendôme Chromatique bracelet, set with a 94,15 cts heliodor beryl and rock crystal, paved with diamonds, on yellow gold and white gold. 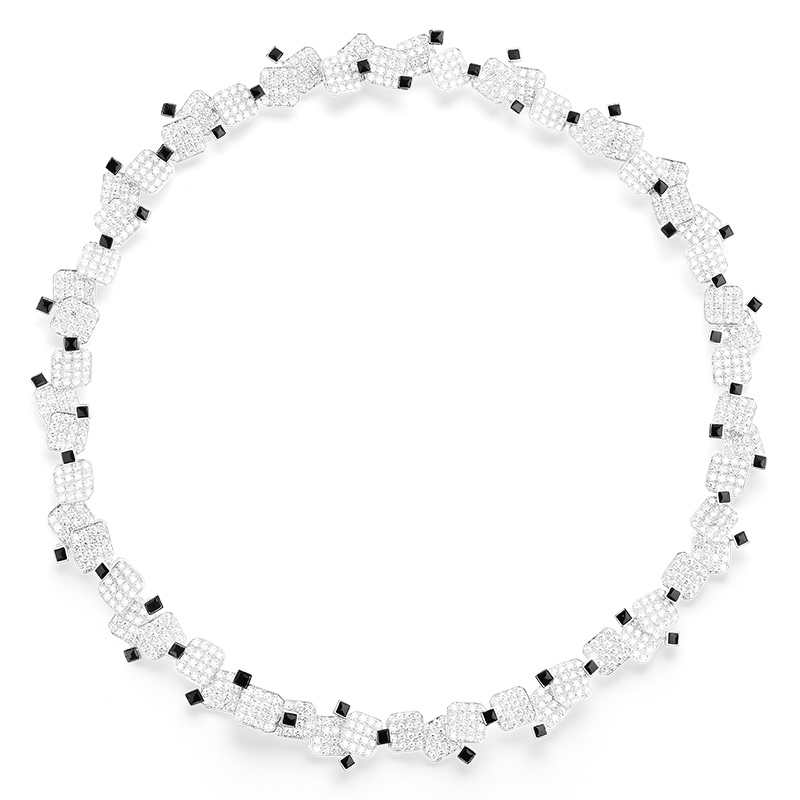 Vendôme Argentique necklace, paved with diamonds, grey and white mother-of-pearl, onyx, on white gold. 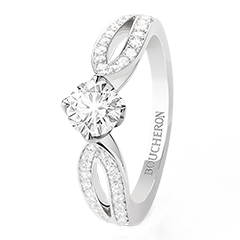 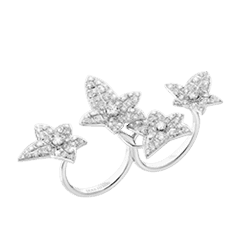 Boucheron has always been an ardent admirer of abstraction, whether in geometrical perfection or the pure lines of Art Deco. 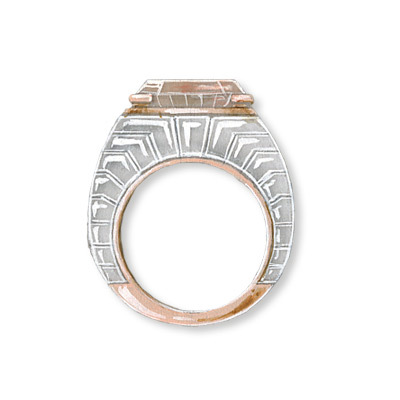 Vendôme Chromatique ring, set with a 18,03 cts morganite and rock crystal, on pink gold. 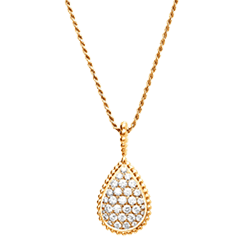 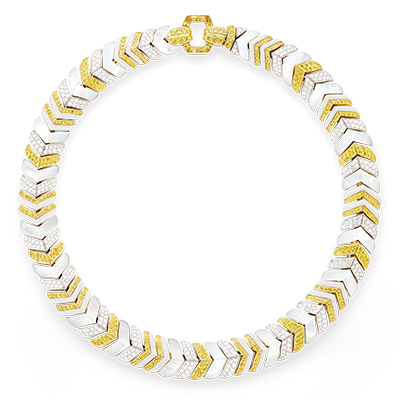 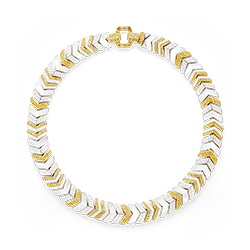 Vendôme Chromatique necklace, paved with diamonds, yellow sapphires, white agate, white mother-of-pearl, on white and yellow gold. 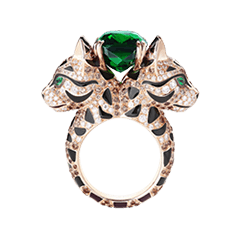 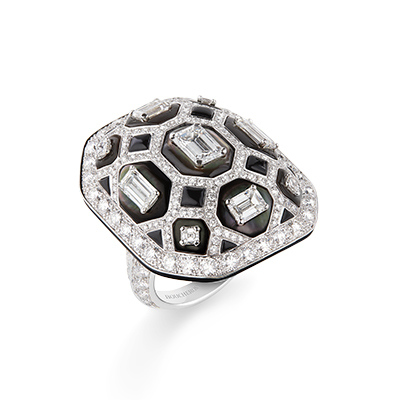 Vendôme Argentique ring, set with diamonds, mother-of-pearl and onyx, on white gold. 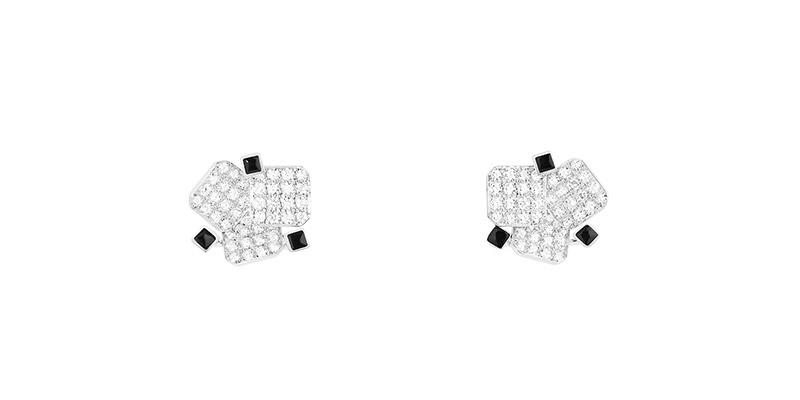 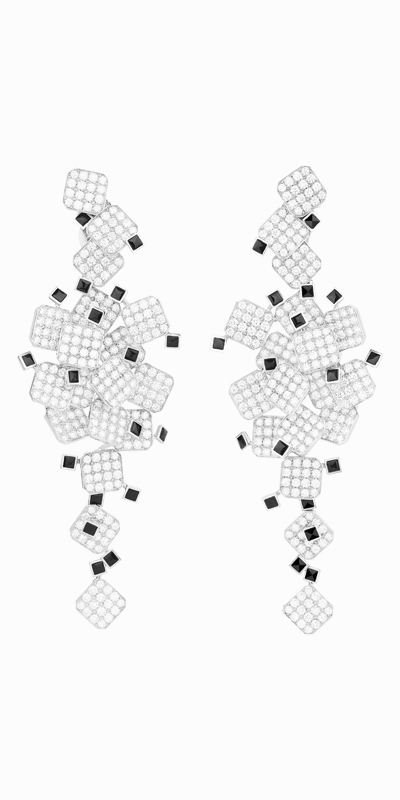 Damier Cabochon earrings, paved with diamonds and onyx, on white gold. 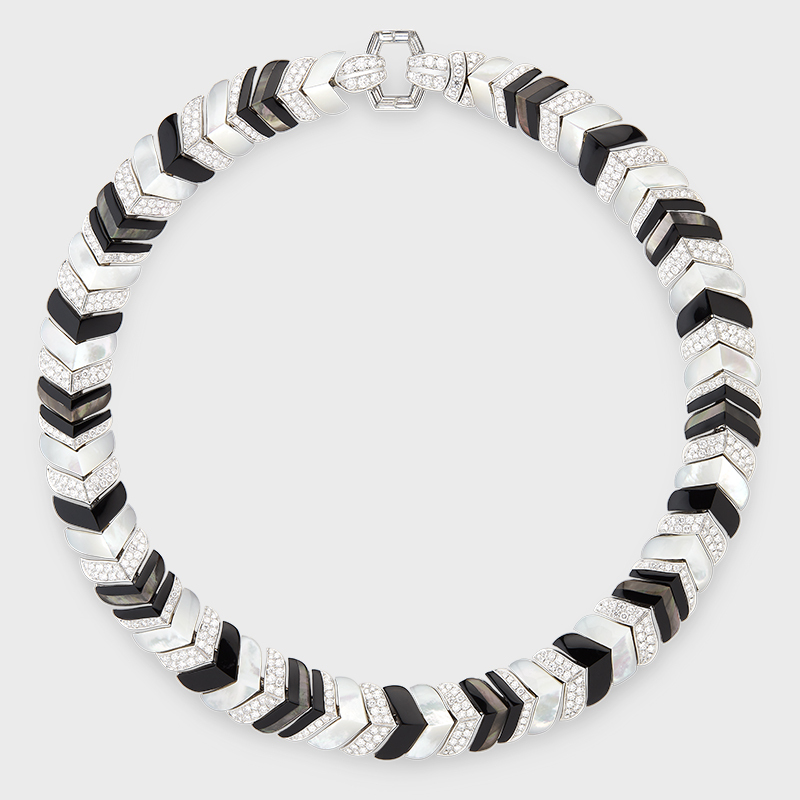 Damier Cabochon necklace, paved with diamonds and onyx, on white gold. 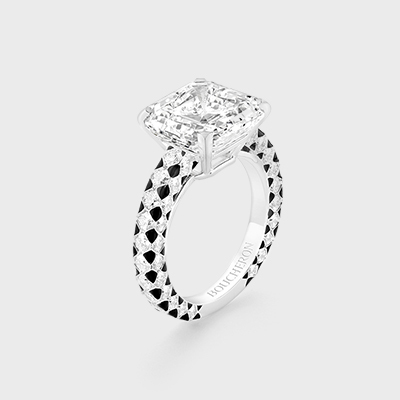 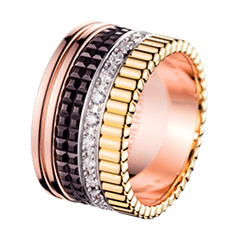 Damier Cabochon ring, set with a 7,51 cts diamond and black lacquer, paved with diamonds, on white gold. 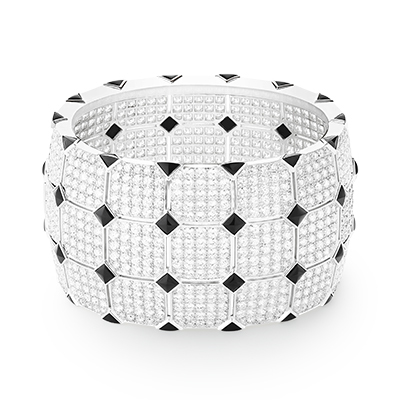 Damier Cabochon bracelet, paved with diamonds and onyx, on white gold.